Tramore Coastguard Station was built in 1874 as a base for the regional branch of the Irish Coastguard. It consisted of a 3 storey officer’s residence and 6 cottages. It was used by the Coastguard service until 1922. In 1924 the Garda Síochána took up occupation of the building. The station was used as a Garda Barracks and Gardaí and their families lived in the 6 residential cottages. The Gardaí vacated the building in 1988 when they moved to a new station in Market Street, Tramore. The building remained unoccupied and was destroyed by a fire in October 2000. In 2002 the Office of Public Works commenced work to restore and preserve the property. Every effort was made to retain the architectural and historical integrity of this landmark building which is located on a prominent site overlooking Tramore Bay. The magnificently restored building was officially opened by Minister Martin Cullen and Minister of State Tom Parlon on 28th May, 2004. The 3 storey station house and 2 of the cottages are used by the Tramore unit of the Irish Coast Guard. A modern boathouse and training facilities meet the needs of this State-run emergency service responsible for maritime Search & Rescue. Tramore Coast Guard Station was built in1874 to provide a base for the regional Irish Coastguard Branch and residential facilities for the men who worked there. The complex of building consists of an officer’s residence, a terrace of houses, a fortified lookout tower and a boathouse. The 1874 design was by the Office of Public Works who was also again responsible for its restoration in 2004. The main building was used as a coastguard station until 1922, and was occupied by the Gardai until the early 90’s. Tragically, a fire in October 2000 destroyed the majority of the building. A structural report, completed shortly after the fire, recommended that all the internal partitions, floors, stairs and timber elements be removed for safety reasons. The external and internal dividing walls were the only substantial structural elements remaining in the fire damaged section of the building. The chimneys were free standing as a result of the roof collapse. The building remained abandoned for many years until it was identified by the Tramore Development Trust when a full assessment survey was carried out of all available building stock in Tramore. The Community Plan prepared by the TDT identified it as a key project to match a suitable community facility that would ensure its restoration for use as a viable community asset. “Ensure developments at the former Coastguard Station are of benefit to a wide cross section of our community”. TDT approached the Office of Public Works to investigate the feasibility of restoring the building. 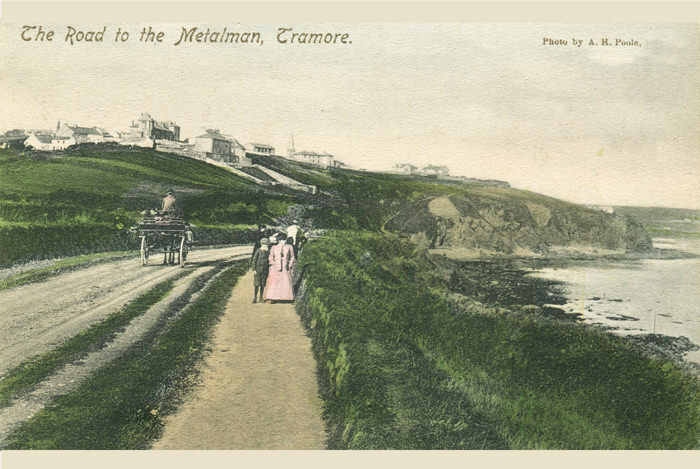 As a result, Martin Cullen TD, who at the time was the Minister for State in charge of the Office of Public Works [OPW], offered the building to the people of Tramore, on condition that a suitable and viable project for community use could be identified. TDT undertook a measured and condition survey of the building with the assistance of Architectural students from WIT. The Directors of TDT prepared an architectural design proposal and report which outlined a use for a much needed community cultural arts centre for the building. This proposal was adopted by Tramore Town Commissioners and was subsequently accepted by the OPW and Waterford County Council. The project was undertaken by the OPW and the building has been magnificently restored at a cost of more than €3 million and became a huge asset to the public building stock of Tramore and to the community at large. The building was divided in two and was partly occupied by the Coast Guard. The remainder of the building was given over to community use and TDT committed to operating the building for this use under a lease agreement with Waterford County Council. The building was officially launched and opened in 2004. Since then the TDT has operated a very successful Community Cultural Arts Centre in the building, which has since expanded to house a community café that uses community employment programmes as much as possible. The office facilities for TDT are also located in the building. The upper floor of the building is used for art exhibitions, concerts, poetry readings, yoga classes, flower arranging classes etc.